With near-silent operation (rated at less than 44 dBA at 3 ft), Sivoia QS allows you to manage daylight without disturbing the activity occurring in a space. Sivoia QS allows for simple, intuitive control of window treatments. 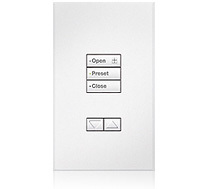 Preset buttons instantly recall a favorite shade position along with adjustable shade zones for customizable solutions. 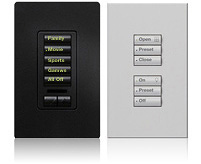 Lutron offers a wide variety of styles, colors, and metal finishes that complements any décor.